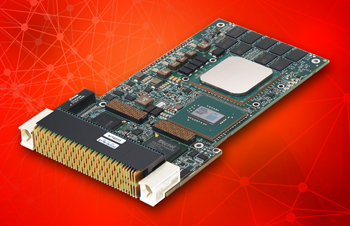 Aitech’s new C877 provides one of the most powerful combinations of data processing and cyber security available in a 3U VPX single board computer (SBC). Based on independent research and data analysis, it was specifically designed for rugged, high reliability, mission-critical environments that need high levels of data security and peak processing performance. The rugged C877 combines the latest generation 12-core Intel Xeon processor and up to 1 terabyte of on-board security-protected SATA SSD with an optional, large on-board Xilinx UltraScale+ FPGA. It also employs a high-bandwidth bus architecture and offers versatile on-board I/O interfaces, with an XMC site for additional I/O options. The board’s inherent security features enable secure transmission of sensitive data. Intel security includes Trusted Platform and Secure Boot as well as a BIOS Guard based on TXT TPM 2.0 and BIOS security. The on-board SSD supports write protection, secure and quick erase in addition to disk data encryption using AES 256 keys. A battery-backed tamper detection signal ensures system level protection. The optional FPGA is also tamper-resistant, with bit stream authentication and readback limits. Provided with basic design project data, the FPGA is generic, but powerful enough to serve as an on-board resource platform for tailoring of the end-user’s specific application. It’s high-speed memory cascading removes bottlenecks in DSP and packet processing and an innovative IP interconnect optimization technology provides up to 30% more performance per watt. The highly scalable C877 easily handles rugged environmental factors as well as reliability and security concerns, while utilizing generationally-stable Intel architecture. The board include 32 GB of DDR4 SDRAM in dual channels with ECC operating at 2133 MT/s. A windowed watchdog timer, real-time clock, temperature sensors and elapsed time recorder combine with a VITA 46.11 Tier 1 and Tier 2 IPMI, implemented in a SmartFusion FPGA. The C877 also accommodates two standard OpenVPX slot configurations with PCIe ports that can accommodate Gen3 speeds, depending on configuration. Windows, VxWorks and Linux are all supported.